We run open-source software for libraries, journals, and archives. 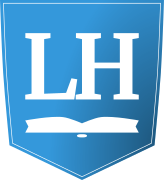 LibraryHost helps small and medium institutions provide ready access to their research materials and information. We host library software for you — eliminating the stress, guesswork, and cost of running it by yourself. Your institution, no matter its size, can provide services that are otherwise only available to large institutions with large I.T. departments. LibraryHost sets up, manages, and backs up your software, so you can focus on your content and stop worrying about I.T. Our staff has years of experience running open-source library software for public and private institutions of all sizes. From small private archives to large public universities, more than 100 institutions trust LibraryHost to store their critical data. We are happy to provide references. ArchivesSpace is an open-source application to manage descriptive information for archives, manuscripts, and digital objects. Archon is an open-source collection management system. Archon was developed by the University of Illinois at Urbana-Champaign. Open Journal Systems is an open-source journal management system created and maintained by the Public Knowledge Project. Omeka is a free, flexible, and open source web-publishing platform for libraries, museums, archives, and scholarly collections and exhibitions. We are interested in starting pilot projects to host new software packages. If you would like to use open-source software that is not on our list, please contact us. We provide low-cost hosting and expert support of open-source library, archives, and scholarly publishing software. Many institutions would benefit from more sophisticated software — or any at all, in some cases — but they lack the I.T. resources or a big budget to make it happen themselves. LibraryHost’s automated CPU and storage cloud has the capacity to provide for hundreds of customers' needs. Our consolidated overhead expense lowers prices for all our customers. Your data is safe with LibraryHost. When you host with us, your data is backed up to three separate, secure storage locations on a daily basis. We make sure your content is highly available and provide an uptime guarantee.